We understand that when you have a young family, you want to do all that you can to keep colds and flu out of your home. By building up your family’s immune system, you can do your bit to fight off the germs that can make you ill. 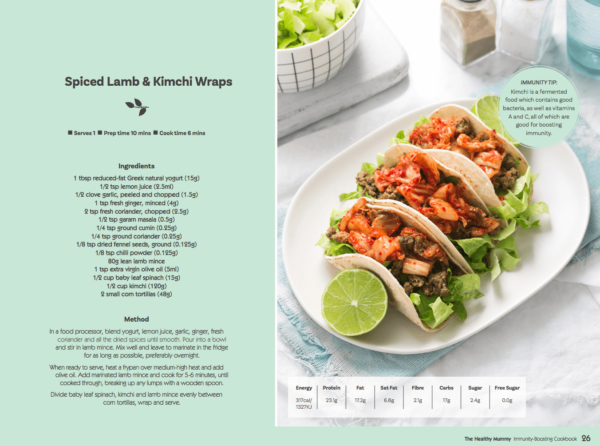 Eating a diet loaded with healthy whole foods can boost the immune system, helping us to fight off colds and flu before they strike or just keeping us feeling our best. 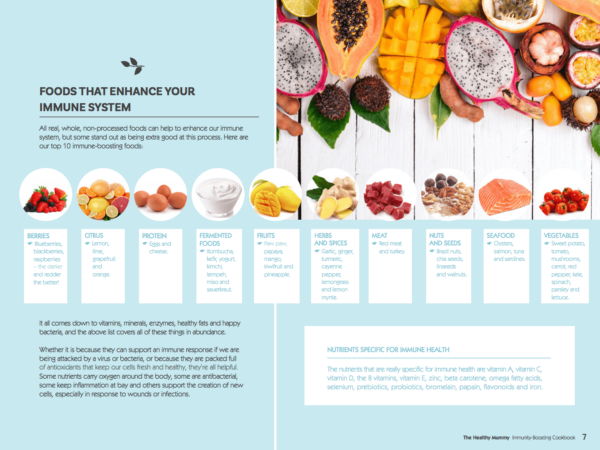 Choosing foods to boost your immunity is easy. 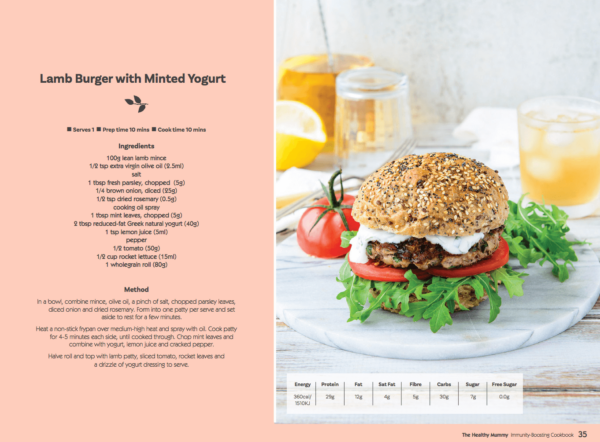 Don’t just think oranges and lemons: ensure your immune system is at its peak with lean protein like red meat and seafood; fresh vegetables including peppers, mushrooms, spinach, kale, ginger, garlic and onions; nuts; spices like turmeric; and dairy including natural yogurt and cheese. 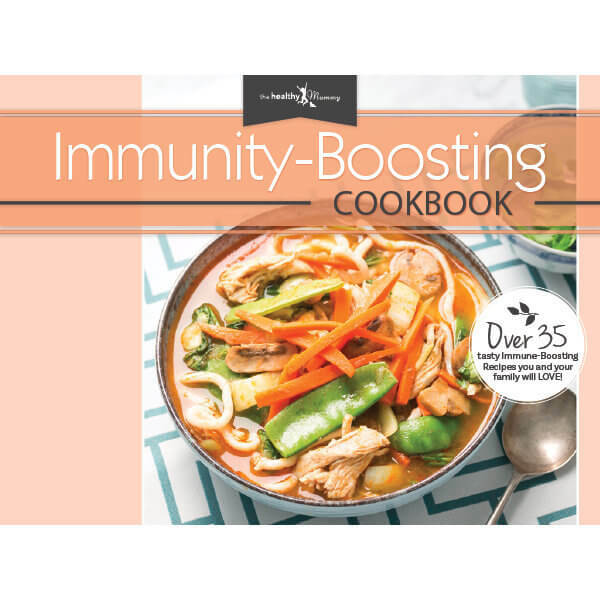 In this cookbook, we’ve included some information on the immune system, including easy ways to boost it and which foods are best to include in your diet to help you feel at your optimum level. 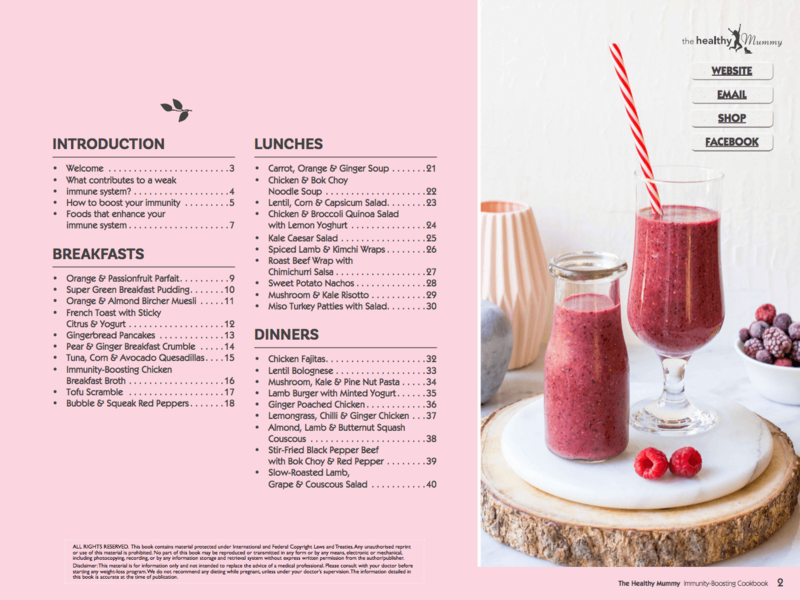 There’s also a selection of our favourite, easy to prepare, immunity-boosting recipes that will keep you loaded up with nutrients, hydrated and bursting with energy for a strong immune system. Another way to help reduce your risk of illness is to incorporate regular exercise into your schedule: a short workout in the living room, a brisk walk outside if the weather permits, or an extra-strenuous session with the vacuum cleaner will all help to keep your immune system boosted. 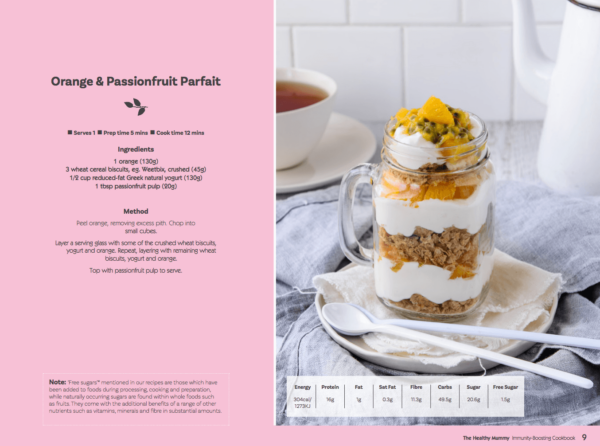 We hope you love the delicious meal ideas plus immunity-boosting tips we’ve included in this cookbook, to help you and your family feel healthier and more energised.